From the fine folks at Techsmith, we present you with Screenchomp. 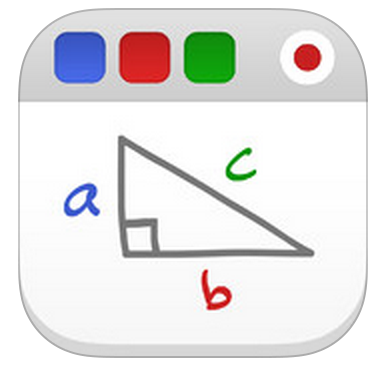 It's another simple and effective platform for recording lessons or student reflections around a given topic. Each cast is limited to three minutes, and is stored online. There are some other apps out there like iCabMobile that allow you to download these videos if you click on the Share in Safari link. There are some pretty cool new gestures available through iCabMobile that you should check out. See how to download videos with iCab Mobile. Another great screencasting type app is Educreations. With little to no need of professional development required, this app is a great platform for having students share their thoughts and ideas WHILE creating at the same time. It reaches multiple levels of proficiency as well as engaging students in a multiple 21st modalities. 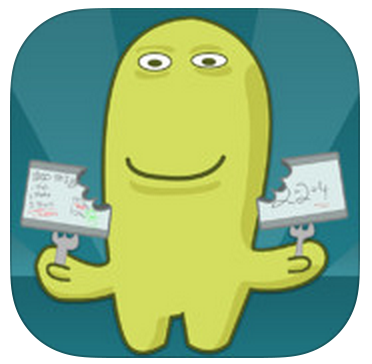 In my opinion, quite simply the best app out there for teachers. 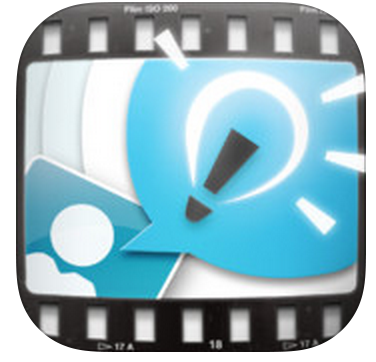 The app Explain Everything takes screencasting and interactive presentations to a whole new level. Above the simple annotations available that can be done on PDF's, images and blank canvases, the use of video and the built in Internet browser is truly phenomenal. Import existing presentations or create one from scratch, this app has it all. The laser pointer is a true powerhouse tool as it allows for readers to trace along during reading, while recording their voice so the teacher can easily track their progress. The export options available allow for easy integration into multiple deployments for various educational setups. Now available to all new iPad users is the suite of creation and productivity apps available from Apple. Pages - Pages is a powerful word processor that lets you create gorgeous reports, resumes, and documents in minutes — just as effortlessly as everything else you do on your iPad, iPhone, or iPod touch. The tools you need appear right when you need them. So it only takes a few taps to choose a template, customize your layout, make it read beautifully, and share your work. Writing has never been easier. Numbers - Spreadsheets can be so much more in Numbers. You start off with a blank canvas. Tap to choose a handsome template. Add multiple tables — they’re prebuilt, with formulas included. Create stunning, interactive charts with a touch. Suddenly you don’t just see data, but what it all means. The power of numbers has never been so beautiful to behold. Keynote - Wherever you go, the power to create a compelling presentation is right at your fingertips. Tap one of 30 elegant Apple-designed themes to start. Bring in a photo. Then drag to resize it. Insert an interactive chart. Create a cinematic transition to move the show along. Then use AirPlay to wirelessly present on an HDTV right from your iPad, iPhone, or iPod touch. Keynote on your iOS device makes it all possible. And portable. iCloud - iCloud lets all these powerful apps work and play together across your devices. So if you just created a document in Pages on your iMac, it shows up the same in Pages on your iPhone. When you finish making a movie on your iPad, you can watch it on your MacBook Air. iCloud keeps all the things you do up to date everywhere, so you’ll always be up to speed. iPhoto - iPhoto makes it fun and easy to organize, edit, and share your photos. You can organize your pictures with tags and quickly find them with advanced search filters. Use simple yet powerful tools like Auto‑Enhance and Brushes to refine your images. Add effects like Black and White or Drama to get even more creative with your shots. And share your photos with beautiful web journals, slideshows, prints, and photo books that you create. It’s the picture-perfect way to do more with your pictures. iMovie - You may have tons of video you’ve shot with your iPhone or iPad. Or you may want to be the next great independent filmmaker. iMovie makes it easy to turn your videos into your all-time favorite movies or trailers. And it gives you all the tools to share your creations with your closest fans or make them ready for your worldwide premiere. GarageBand - Creating great music on your iPad, iPhone, or iPod touch has never been easier. Or more fun. With GarageBand, you’ll be playing instantly thanks to Touch Instruments and Smart Instruments. You can record, edit, and mix up to 32 tracks with just a few taps and swipes. And you can quickly share your sessions from your iOS device — across the room or around the globe.